It wasn’t too long ago that a classmate of mine was out biking around Uptown on a beautiful summer day in Chicago. Later that evening she developed a fever, and the next day she began having trouble breathing. After being rushed to the ER and spending a week in the ICU she emerged from the hospital with a list of prescriptions to treat acute pneumonia and a medical bill, the price of which could easily buy a nice four-bedroom house on the north side. It turns out her student medical insurance expired a day before she was admitted to the ER. Like most college students, my friend was healthy and wasn’t planning on an extended trip to the hospital, so she hadn’t thought about renewing her medical insurance. While you might feel the same way, unless you’ve been living under a rock for the last two years, you probably also know that the Affordable Care Act (ACA) will require all individuals to sign up for health insurance by January 1, 2014 (even if coverage doesn’t kick in until later). How will this new law affect you? What are your options? If you’re lucky enough to have a job that pays for medical insurance, stop reading now. You’re covered – go enjoy that free flu shot! If you’re like the average college student, who doesn’t have a job but might need health insurance, then read on and be prepared to be prepared. Option 1: Your Parents’ Insurance Plan is your New BFF (at least until you’re 26). Are you under 26? Do your parents have non-Medicare insurance? Hurray! Under the ACA, almost all students are eligible to stay on their parents’ healthcare plan until they’re 26! Even students that are married, financially independent, or no longer live with their parents are eligible. According to the Commonwealth Fund 2013 Health Insurance Tracking Survey, 15 million young adults ages 19–25 enrolled in or stayed on their parents’ health plan in past year. That’s a lot of people staying on their parents’ insurance! Staying on your parents’ insurance could save you a lot of money. For example, student health insurance at the University of Chicago will cost you $2,757 per year (that’s not including dental or vision, btw). However, there are several things to consider before staying on your parents’ plan. Going to college out of state? Check to see if your parents’ insurance has local providers in their network. Out-of-network doctors can be ridiculously expensive. Also, check to see what your parents’ plan covers, many students have to pay extra for dental, vision, or maternity coverage. Option 2: Let’s Go Shopping… for Insurance Plans! 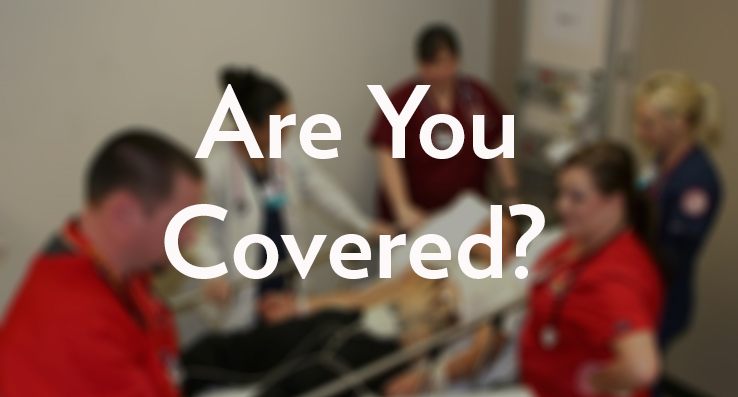 Does your college or university offer student health insurance? Awesome, you’re already covered! The medical insurance plan offered by your college or university will satisfy the requirement that individuals have health insurance starting in 2014. Also, check out this infographic for more information about the requirement to buy coverage under the ACA. What if you can’t afford your university’s health insurance? If your state has expanded its Medicaid program and you earn around $10,000 or less per year, you can qualify for free or low-cost health insurance for Medicaid. Medical insurance is expensive and the government recognizes that it may not be a feasible option for everyone in certain circumstances. 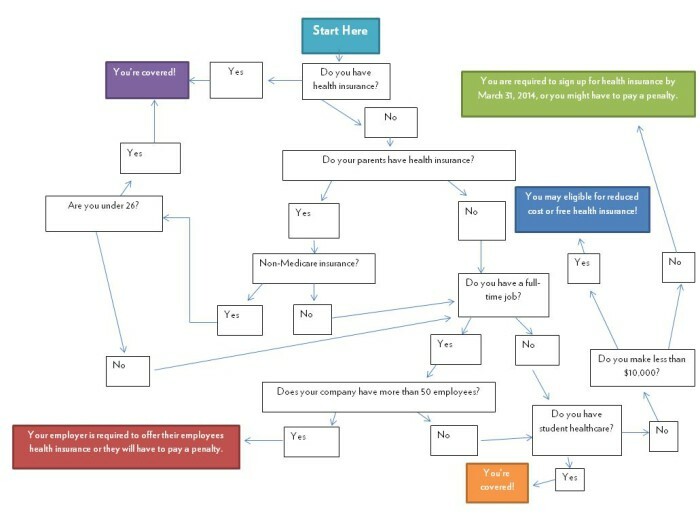 If you’re are not fully employed and earn less than $10,000 a year, then you may have the option to not sign up for insurance through the ACA. Option 3: Too Cool for Insurance? You like to live dangerously, taking a chance on paying for the ER out of pocket is such a rush! Maybe you’re following in the footsteps of Thoreau and aren’t going to let the government dictate what you spend your money on (man, that guy was a rebel). Whatever the reason, if you are eligible and don’t sign up for insurance by January 1, 2014, the new health care law may require you to pay a penalty. But for the next year, it won’t be much: $95 or 1 percent of your taxable income whichever is more. However, the penalty will increase after the first year of the program so watch out for fee increases. And, once open enrollment closes on March 31, 2014, if you haven’t signed up yet, you won’t be able to do so until the next open enrollment period. Bottom line: Health insurance is complicated, but learning more about your options by talking to your parents and school will help you save money and ensure you’ve got the best medical plan for your needs.